Ten years ago, Namie Amuro’s star appeared to be fading fast. The pop singer’s massive popularity in the 1990s helped cement the rise of sleek J-pop, but by 2005, sales of her albums and singles were starting to come back to Earth. Worse still, the former “Queen of J-pop” was seemingly being lapped by rival singers Ayumi Hamasaki and Kumi Koda. But 2015 saw Amuro solidify — once again — her position as the country’s premier female pop star. This endpoint has been on the horizon for a few years, but the past 12 months saw her finalize it via the Oricon chart-topping “_genic,” which was released in June. While she continued a late-career resurgence, she could also enjoy a degree of schadenfreude in seeing her closest rivals slip up massively over the past year. Looking purely at sales, Amuro’s 12th full-length collection wasn’t a blockbuster. 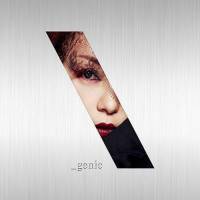 “_genic” has moved a touch more than 240,000 units as of writing, a dizzying number for most pop acts in 2015, but a number on the lower end in her history. She’s nowhere near this year’s monster releases from the likes of Arashi and Dreams Come True, yet as overall music sales in Japan keep dropping every year, the figures for “_genic”look solid. Just as importantly, Amuro continued to make herself relevant. Her ability to evolve with consumer tastes has propelled her late-stage turnaround, particularly her move to embrace the pounding sounds of EDM. Ironically, Hamasaki and Kumi both went down the same path, but Amuro went all in and the bulk of “_genic” leans on heavy-hitting electronic sounds in a year when EDM peaked in Japan. She diversified beyond the boisterous clubbers, though. Amuro collaborated with hip Euro-pop-inspired producer Sophie on “B Who I Want 2 B,” an attention-grabbing duet with Vocaloid avatar Hatsune Miku that sounds like The Singularity in pop form. And Amuro embraced the Internet. Her video for the earworm-y “Golden Touch” is simplistically goofy — put your finger on the screen and funny things happen — but it went viral, even earning the ultimate prize: a feature spot on Buzzfeed. But what made 2015 even sweeter for Amuro is how her competition doesn’t really exist anymore. Koda’s “Walk of My Life” album debuted at the top spot on Oricon when it came out in March, but has reportedly sold just over 45,000 copies and has generated little buzz. Still, being ignored might be a better fate than what’s happening to former J-pop titan Ayumi Hamasaki. Once a lock to move a million, her latest collection, “A One,” reportedly mustered just over 52,000 units and failed to score the Oricon top spot usually reserved for her. Still, she got attention— mostly negative — ranging from divorce rumors to fans bailing from her concerts to just general “what happened” think pieces. And Amuro deserves to be alone at the top. Her busy EDM songs don’t always work and her English delivery still needs practice, but “_genic” is a solid collection of catchy pop tunes and features stunners such as “Golden Touch” and “Space Invader” — miles ahead of the sub-Flo Rida pop-rap of Koda’s latest, and the sluggish balladry of Hamasaki’s “A One.” It’s a heck of a comeback, and a well-earned one at that.